See the Columbia University Office of Government and Community Affairs tribute to Mr. Jay and his involvement in the Ratification of the Constitution here. Follow John Jay on Twitter! America’s most prudent Founding Father has joined the Twitterverse. Follow him here at JJTalking. This entry was posted in Uncategorized on July 14, 2014 by Jennifer E. Steenshorne, Ph.D., Associate Editor, The Papers of John Jay. Happy Bastille Day! On 19 July 1789, Thomas Jefferson, still in France, wrote Minister for Foreign Affairs John Jay a vivid report of the storming of the Bastille. For a full text of the letter, visit Founders Online, here. Columbia University Libraries/Information Services is pleased to announce the receipt of a $175,000 Scholarly Editions grant from the National Endowment for the Humanities (NEH) to the Selected Papers of John Jay, a publication project sponsored by the Rare Book & Manuscript Library (RBML). The 21-month grant supplements funding by Columbia University Libraries/Information Services and the National Historical Publication and Records Commission (NHPRC). The grant will support the publication of volumes 4 (1785-1788), 5 (1789-1795), and 6 (1795-1829) of the papers of John Jay (1745-1829), a member of the Continental Congress, secretary for foreign affairs, first Chief Justice of the United States, and governor of New York. The grant provides for a new associate editor position to advance editorial work on the later volumes in this series. The project is part of a larger campaign at Columbia to bring greater attention to Columbia alumnus Jay’s many accomplishments. “This grant will provide us the staff level and expertise needed to explore fully Jay's contributions as United States Chief Justice and Governor of New York and as a religious leader and social reformer and bring the edition close to completion,” said Dr. Elizabeth M. Nuxoll, editor of The Selected Papers of John Jay. The Selected Papers of John Jay is a multivolume scholarly edition of Jay’s papers currently being produced by a team of scholars at Columbia for publication by the University of Virginia Press. The edition will consist of seven volumes of a wide-ranging selection of the most significant and interesting public and private documents and letters, written or received by Jay, annotated and interspersed with commentary. The edition is designed to revise and complete work begun in the late 1950s by Richard B. Morris, an eminent Jay scholar and Columbia University professor, who supplemented the major collection of original Jay Papers at Columbia with copies of Jay documents secured from archives throughout the world. 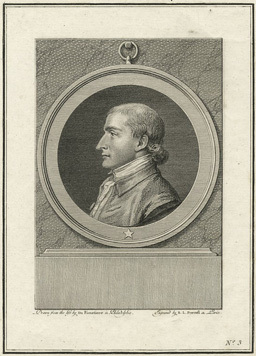 Morris and his staff published two volumes covering the era of the American Revolution and began work on a projected two additional volumes before his untimely death. The current project, which began in 2004, has published three volumes to date, the third of which was released in May 2012 and covers Jay’s role as peace negotiator. The volumes serve as a guide to the Papers of John Jay website, an image database funded by the NEH launched in 2003. This website provides access to images of more than 20,000 pages of Jay and Jay-related documents, and is free and available to the public. This entry was posted in Uncategorized on September 5, 2013 by Jennifer E. Steenshorne, Ph.D., Associate Editor, The Papers of John Jay. 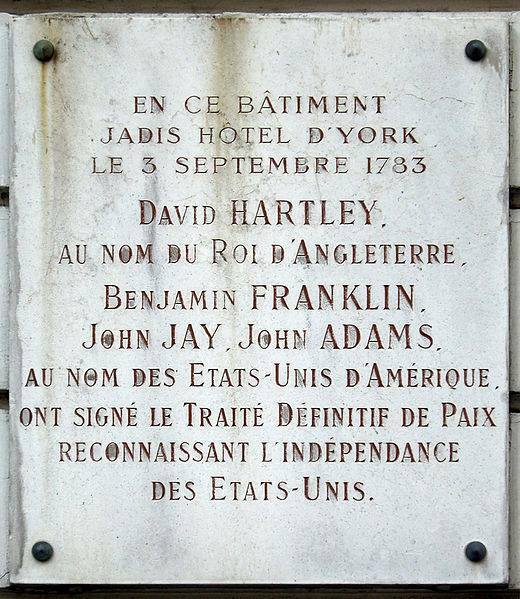 Yesterday was the 230th anniversary of the signing of the Treaty of Paris, the treaty that ended the American Revolution. Volume 3 of the Selected Papers of John Jay (UVA Press) covers the negotiations that ended the war, showing the complicated process that is diplomacy, a process often ignored. The NHPRC supports the work of three of the American negotiators for peace: The Papers of Benjamin Franklin (http://franklinpapers.org/franklin//); the Papers of John Jay (http://www.columbia.edu/cu/lweb/digital/jay/) and the Papers of John Adams (http://www.masshist.org/adams_editorial/. Of course, you can read all about the Treaty itself at the National Archives "Our Documents" site at http://www.ourdocuments.gov/doc.php?flash=true&doc=6 and discover what the rest of the Founders thought about the peace at Founders Online (founders.archives.gov). This entry was posted in Uncategorized on September 4, 2013 by Jennifer E. Steenshorne, Ph.D., Associate Editor, The Papers of John Jay. John Jay's great-grandson, John Jay Ide, was not only an architect and art collector. He was an aviation pioneer and instrumental in gathering intelligence on the Nazi's aviation program during the 1930s. Read historian Roger D. Launius's fascinating account of JJI's exploits here. This entry was posted in Uncategorized on May 9, 2013 by Jennifer E. Steenshorne, Ph.D., Associate Editor, The Papers of John Jay. On this day in 1789. . .
George Washington was sworn in as the first President of the United States under the new constitution. Surprisingly, John Jay, the first Chief Justice did not perform the swearing in ceremony. Rather, the New York State Chancellor Robert R. Livingston had this honor. Howerver, Jay was present for the ceremony and the festivities that followed. This entry was posted in Uncategorized on April 30, 2013 by Jennifer E. Steenshorne, Ph.D., Associate Editor, The Papers of John Jay. From the Philadelphia Inquirer of September 29 1908. While Jay did have an audience with King George III in July of 1794, while negotiating the Jay Treaty, one suspects the conversation was rather different. This entry was posted in Uncategorized on April 10, 2013 by Jennifer E. Steenshorne, Ph.D., Associate Editor, The Papers of John Jay. Check out my post on John Jay's Circuit Court Diary on the RBML blog "Off the Shelf" here. This entry was posted in Uncategorized on April 8, 2013 by Jennifer E. Steenshorne, Ph.D., Associate Editor, The Papers of John Jay.